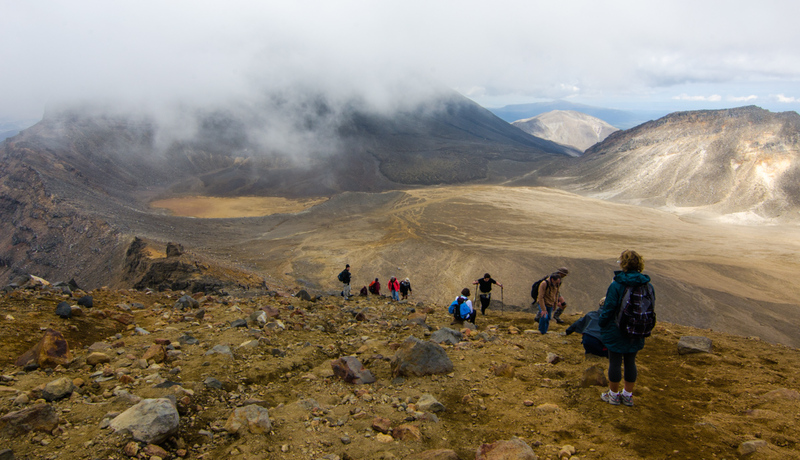 Day 1 for the Tongariro Northern Circuit should have started on the previous day, a hike from Whakapapa Village to Mangatepopo Hut. 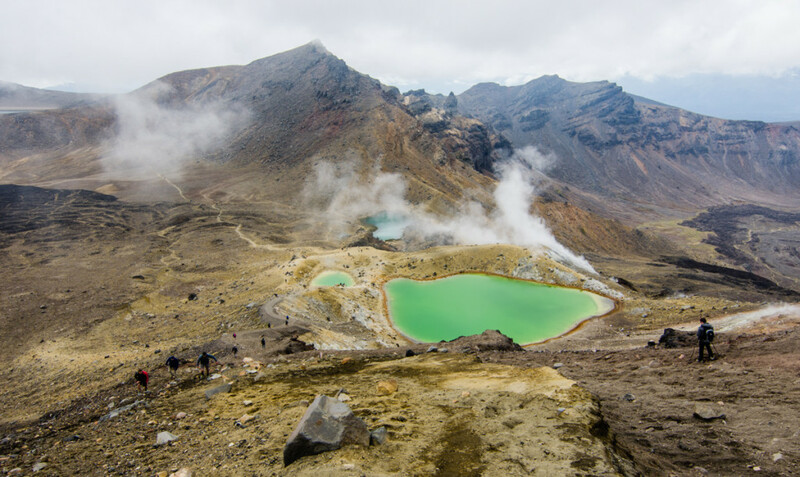 But because of a misunderstanding with the shuttle company’s pick up time, I ended up missing the shuttle and stayed an extra day in Taupo. 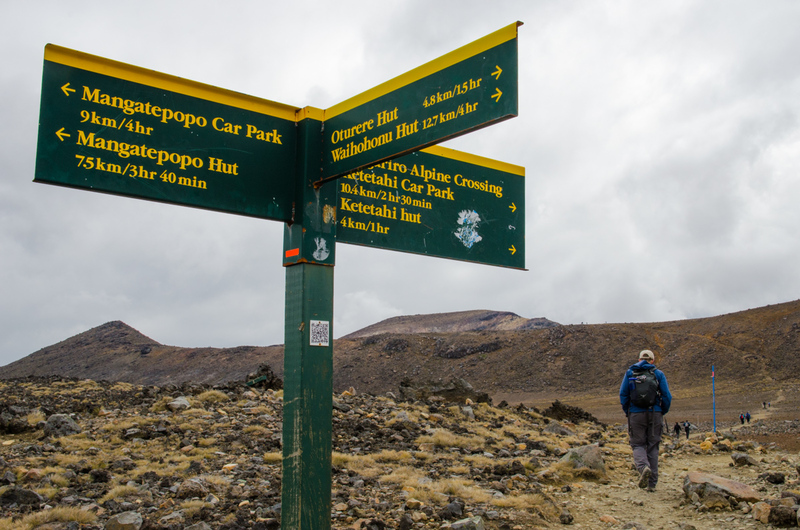 Since I had already booked all the huts, and since the weather forecast said that there would be good weather for Tongoriro Alpine Crossing on this day, I decided to just skip that first section and start the hike from Magatepopo instead. 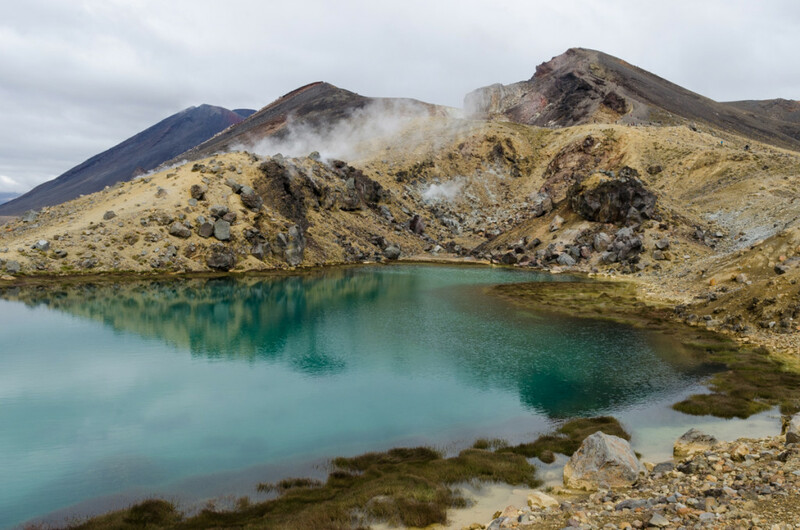 This meant that the completionist in me would not be completing the entire circuit, but with my knee still swollen from Lake Waikaremoana Great Walk, I was happy to get an extra day of rest. 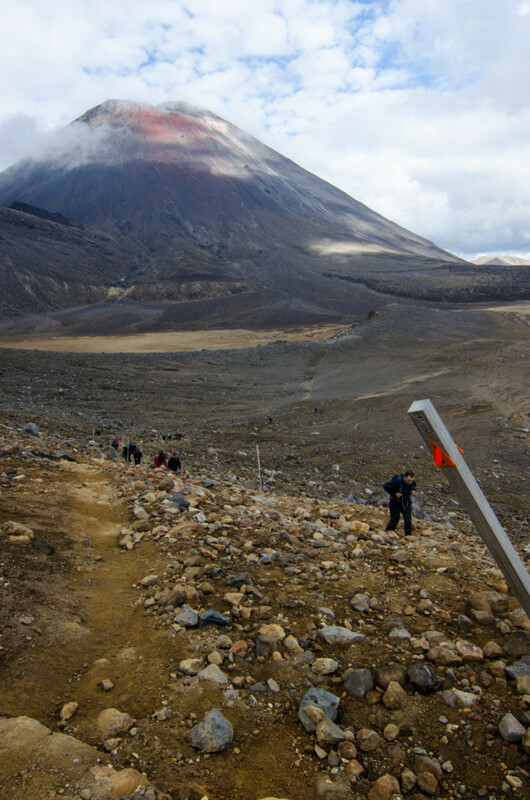 I got picked up at 5:30am in Taupo and, after picking up 8 other people, we headed to Mangatepopo. 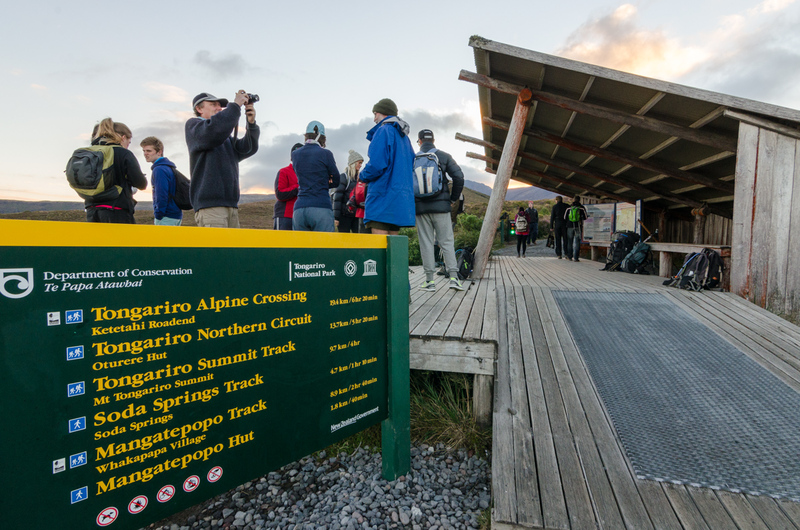 The 1-day Tongariro Alpine Crossing is a very popular hike and this is where people start it. We got there at 7:15am, and in the 20 minutes I spent getting ready to hit the trail, I saw three other buses full of hikers arrive. It was a cold morning. 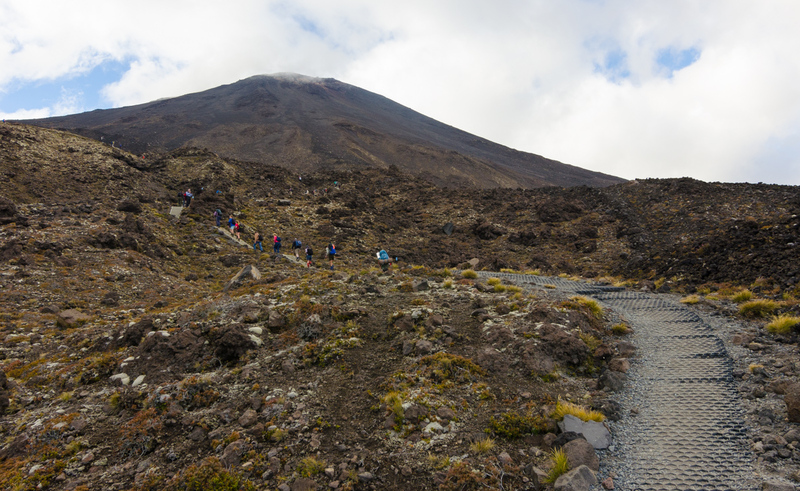 I wore my hat and gloves, and was joined by dozens of other hikers as the trail starts to ascent to the pass between Mount Tongariro and Mount Ngauruhoe, both active volcanoes. 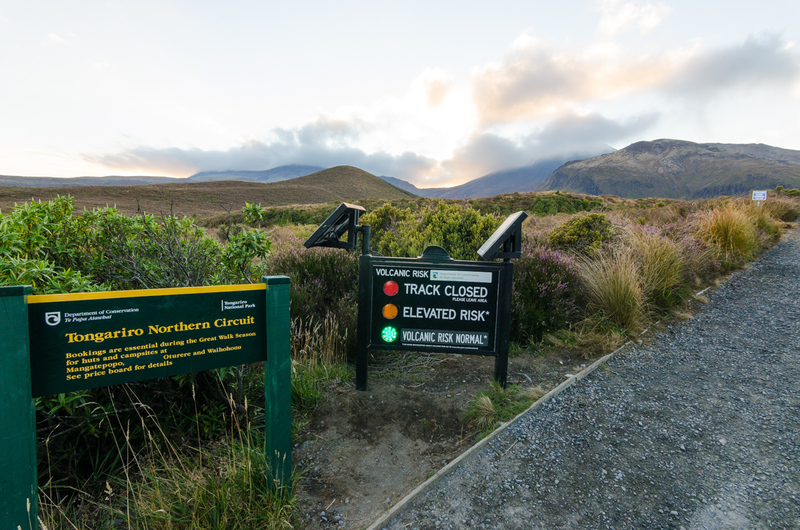 The trail is in excellent condition, with gravel and boardwalk everywhere. 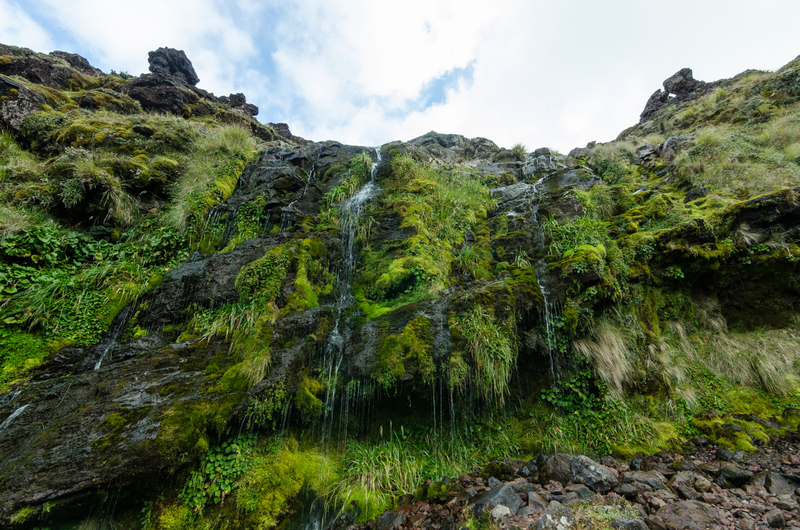 It soon reaches a junction for the Soda Springs, a 5-minute detour. 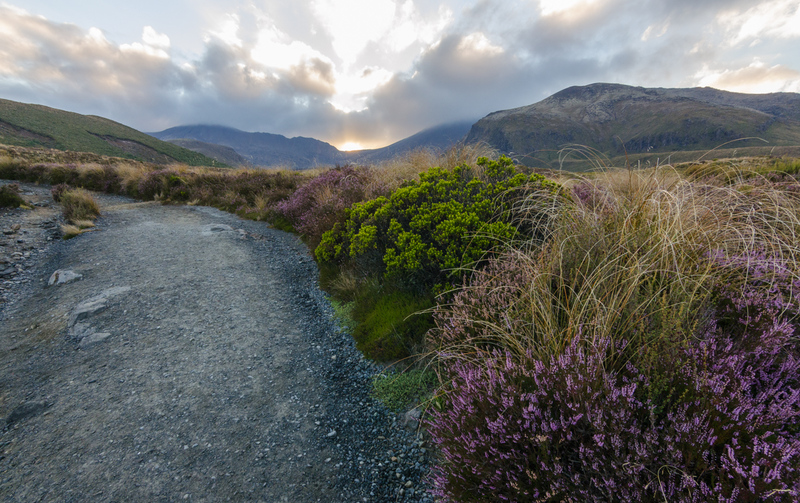 The track then becomes steeper. I met Magalie here, a girl from Canada would I would talk to frequently for the rest of the hike. 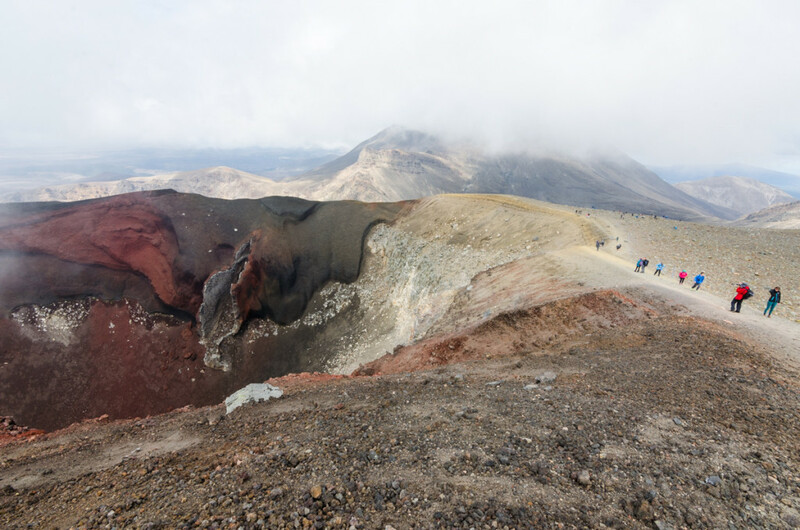 After reaching a plateau you can do a 3-hour side trip to the top of Mount Ngauruhoe. It looked like a pretty steep and slippery way up. With a swollen knee and six more Great Walks after this one, I chose to skip it. The scenery up to this point was kind of disappointing. Yes, it was pretty but nothing too special in my opinion. But the best was still to come. 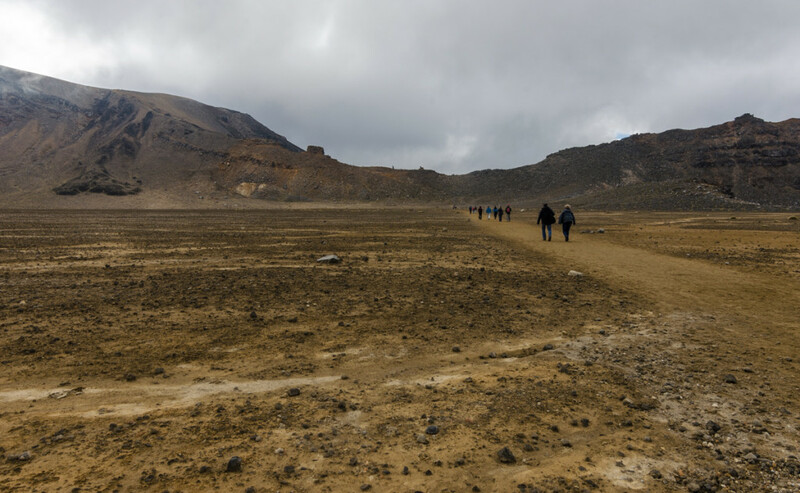 First up was the huge South Crater. 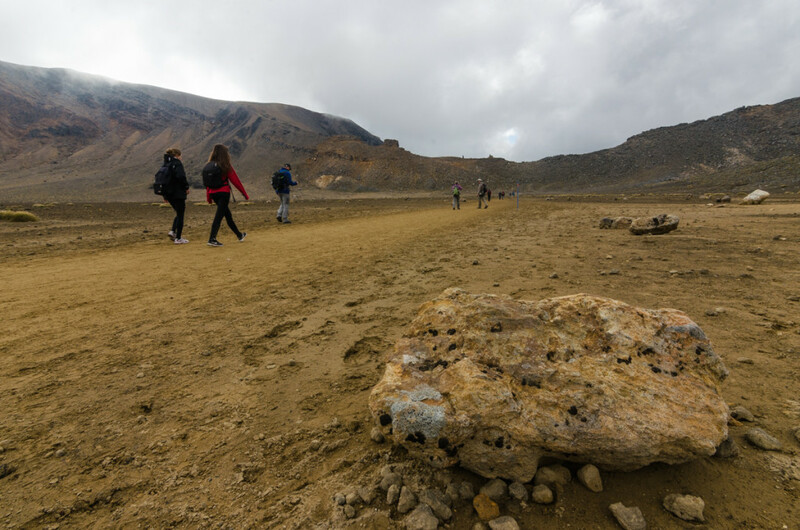 After another climb to the very top of the crossing, you reach Red Crater. 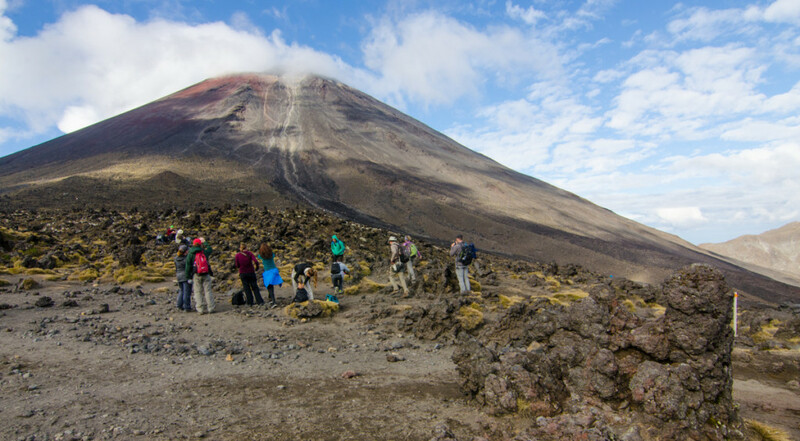 There was volcanic steam coming out of small craters, and the soil was warm to the touch. The trail then descents into beautiful Emerald Lakes. This part is a bit steep and through loose gravel and dirt. I was very slow and careful. There’s a junction after the lakes. 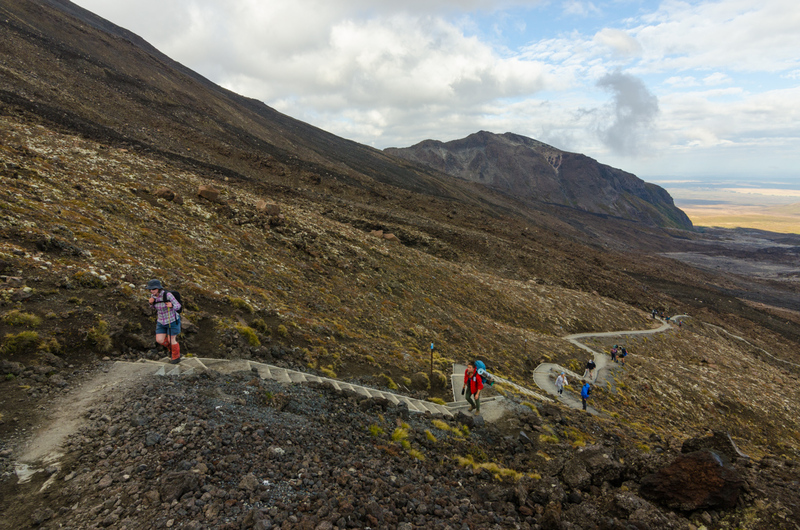 Those continuing on the 1-day Alpine Crossing continue to the left while those doing the circuit turn right. I went from being surrounded by dozens of people to being on my own after this point. 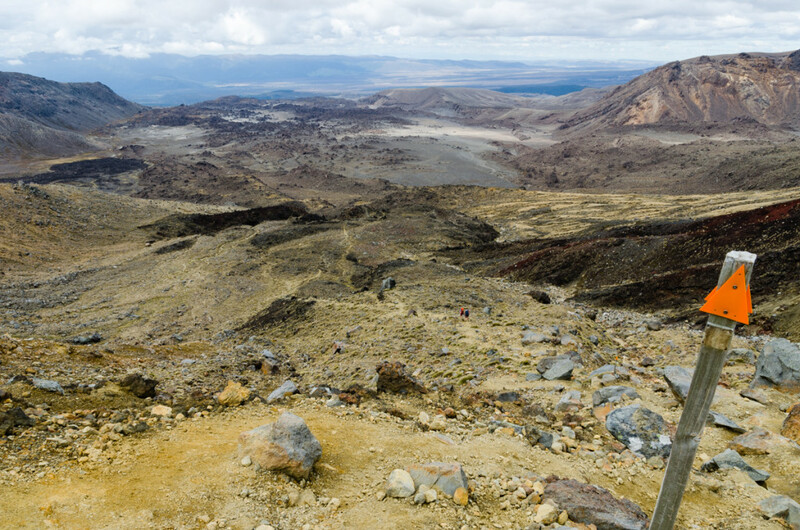 The landscape between the junction and Oturere Hut was very unique. Some people describe it as being on the moon. Not that I’d know how it feels like to be on the moon. 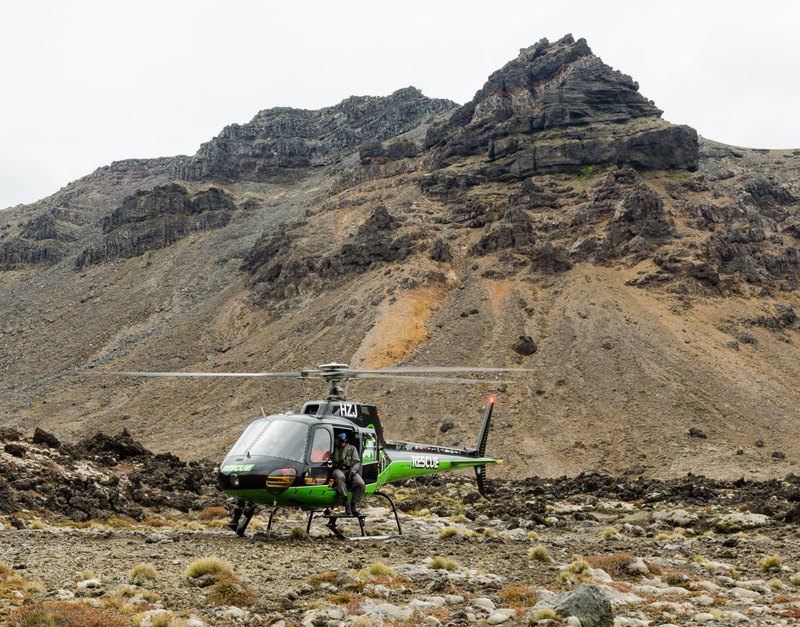 A rescue helicopter suddenly landed close to me and someone came and asked me if I had seen a man hiking on his own. Apparently he had been missing since the previous day. I couldn’t be of any help, but I’d eventually find out that he was found safely a few hours later. 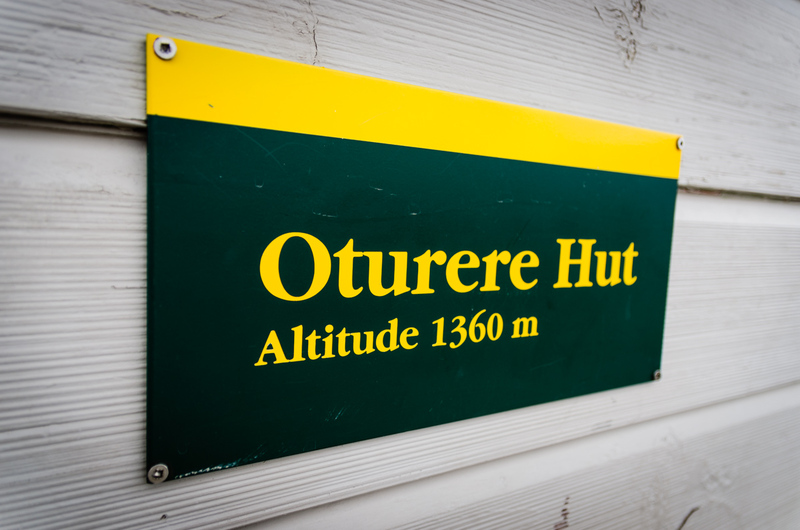 I took me 1.5 hours to reach the Oturere Hut from the junction at Emerald Lakes, arriving at around 1pm. 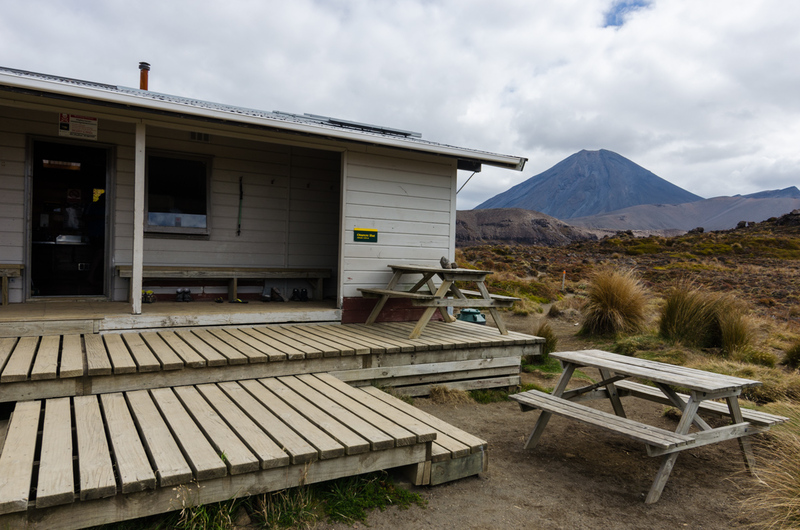 The hut is small but cozy, and unlike the ones on Lake Waikaremoana, these have gas cookers, so you don’t need to bring your own stove. 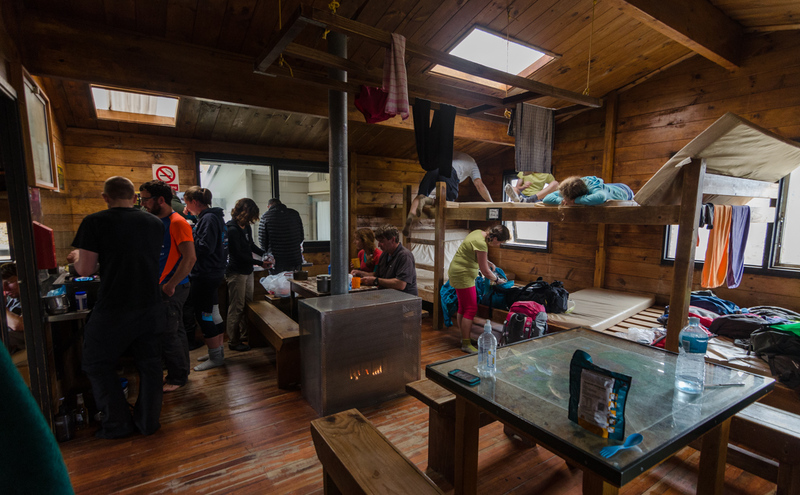 As usual, there was a nice mix of people in the hut: Mike and Dayle from NZ, Kate and Anna from NZ, a couple from Israel, a guy from China, 3 German friends, Magalie and Memo, and a family from England, whose dad used to be a warden at that same hut 17 years before. He was now back with his wife and two young children. 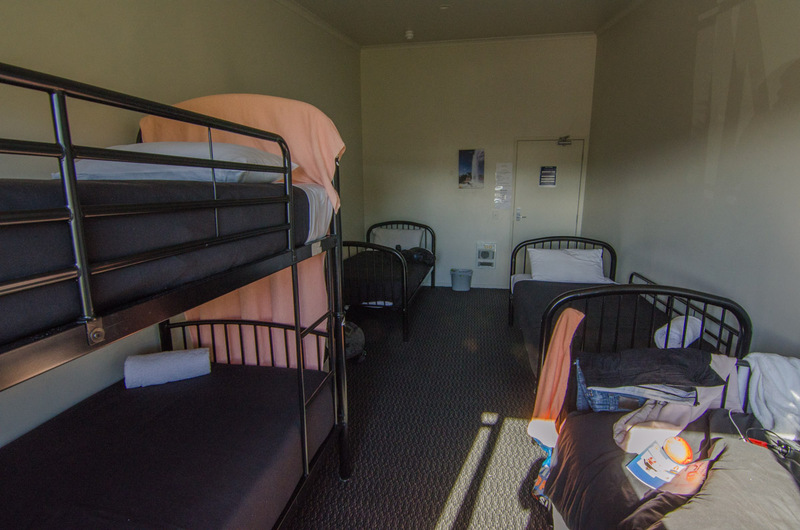 Also unlike Lake Waikaremoana, there was a warden there who kept the place in good shape, checked for hut reservations, and gave a talk every night. I went to bed around 8pm to read my book (Slaughterhouse Five), and fell asleep about an hour later. Inside such a small hut with so many people in it, it felt pretty warm throughout the night. 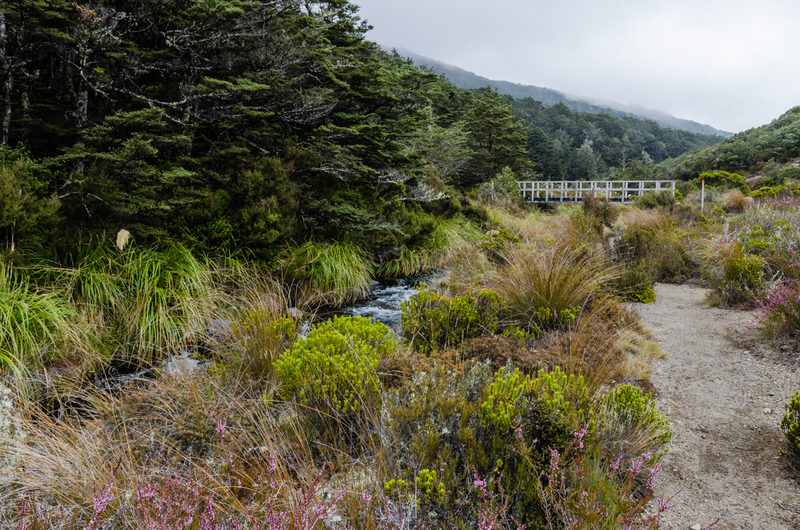 For more info on this walk, check out the NZ Department of Conservation’s brochure and video for this walk. 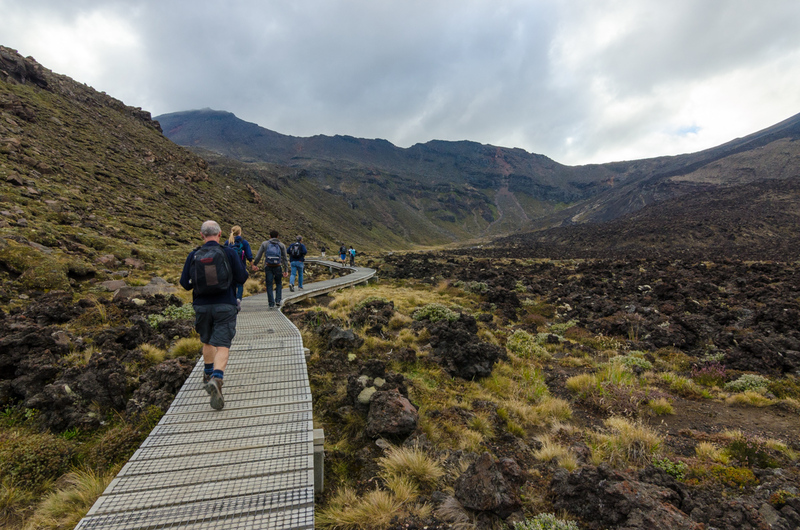 What size backpack do you recommend bringing for the Great Walks? In the photos, a lot of trampers backpacks look smaller than I would have expect. I guess you’re not bringing a tent or camping stove, but still need bedding and clothse. Hi Kelly. My backpack was 44 liters, but I didn’t fill it all the way. I reckon I could have fit everything in a 35-liter one. 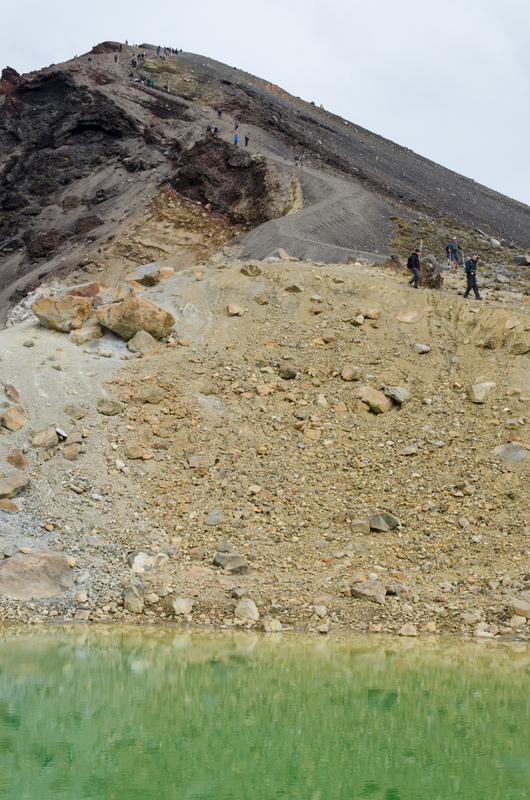 A lot of the trampers in these pictures were only day-hiking the Tongariro Alpine Crossing, that’s why their backpacks were small.